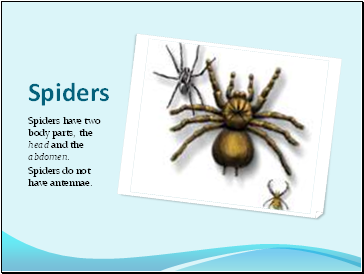 Spiders have two body parts, the head and the abdomen. 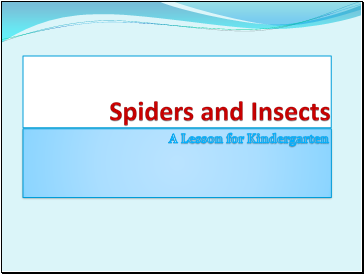 Although they are small, spiders are not insects. 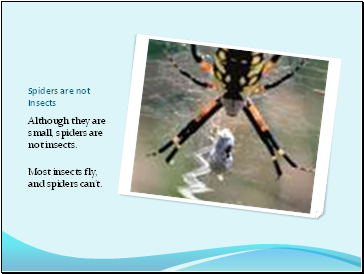 Most insects fly, and spiders can’t. 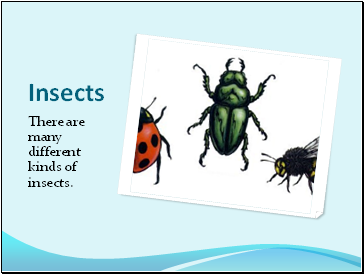 There are many different kinds of insects. 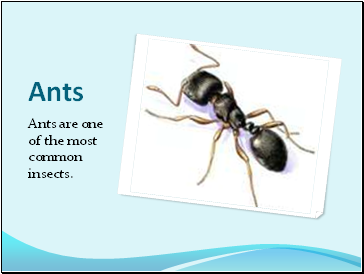 Ants are one of the most common insects. 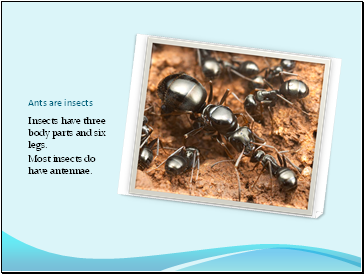 Insects have three body parts and six legs. Most insects do have antennae.